What's more fun than drinking on a plane? You've got a few hours to kill with nothing to do (and probably less going on when you arrive), and after the time you just spent getting herded, strip-searched, and stressed out in the airport, well, you kinda deserve it, right? Except sometimes it's not as awesome as you think. Just ask Alec Baldwin. Or Courtney Love. Or David Hasselhoff. 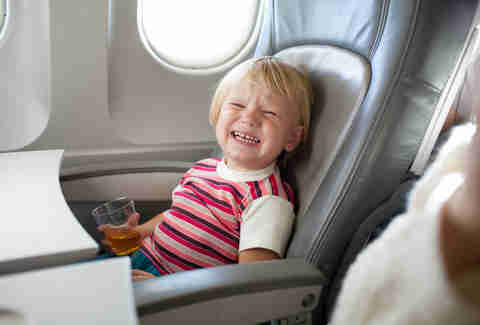 Yes, when done properly, drinking on an airplane is the best. Emphasis on "done properly". A lot of times, though, it's not a great idea. And here are 11 reasons why. In case you failed sixth-grade science, the air at 36,000 feet isn’t breathable -- this is why airplanes are pressurized. 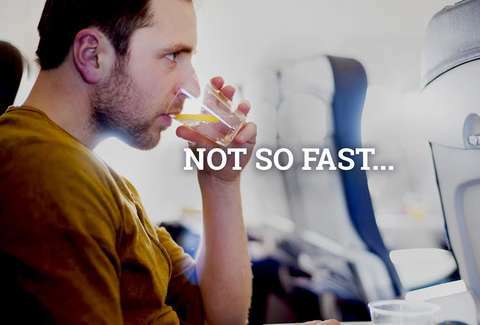 Even still, the cabin air has far less oxygen than you would breathe if you were on the ground and, though some studies have shown booze doesn't have much effect on your BAC, it can still be metabolized faster and exacerbate the effects of altitude sickness. And since those two light beers on the ground may have hit you more like a couple of Four Lokos at altitude, you’d better hope that two-mile walk through DFW to your connecting flight clears your head. 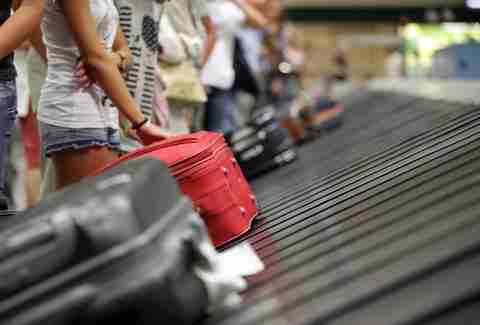 Gate agents are required by law to stop you from boarding the plane if you appear intoxicated. Which is entirely subjective. You get a little belligerent in a bar, they throw you out. Maybe they call you a cab. Do it on a plane? Well, they have no option but to have a couple of nice gentlemen in uniform play the part of your parents when you flew home from college in the '90s, and greet you at the gate. Only this time, nobody's stopping at Cracker Barrel on the drive home. Because nothing settles down your nervous stomach like milk, Kahlúa, and pressurized oxygen. 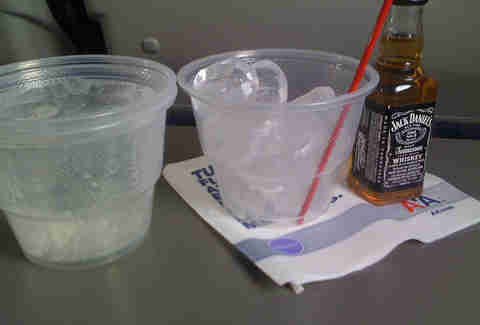 Flight attendants don’t much care that drinking makes you go to the bathroom like a woman who's eight months pregnant. 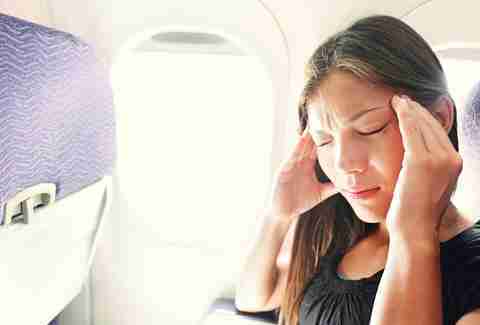 Enjoy that “slight chop” while you’re praying for the fasten seatbelt light to burn out. You know that feeling you have after a long day watching college football when you get home, the booze wears off, and all you wanna do is take a nap until Family Guy comes on? It’s like that, except replace “take a nap” with “stand around a baggage claim with 7,000 other people” and Family Guy with “a suitcase that may or may not be yours." Or picking up your car from long-term parking. And the $86 you saved by flying into this “off” airport now goes to a cab home, and another cab back to the airport to pick up your car once you can legally drive. Because as much as your friends don’t like listening to your rants about your boss, your ex, and your neighbor’s pet Yorkie, you know who wants to hear about it even less? 200 strangers who just got charged $2 for water. If you’ve gotten in a full day of drinking by 11am, the most productive thing you’re doing the rest of the day is brushing your teeth.